Providing South Florida with exceptional construction service for over 20+ years. We understand remodels can be time-consuming and stressful. We have comprised a team of quality professionals to assist you in any way possible. If its the middle of the night and your in need of some help! Don’t worry, Southern Coast offers Emergency repair for all shapes and sizes in a jiffy. Our on-call technicians will respond ASAP. Southern Coast Construction Services can handle nearly any job! With our trained plumber, a/c technicians, electricians, and construction teams we can assure you that your project is in the best hands. We are top of the line team we make sure you time is managed properly. Our trained processing team makes sure all permits a pulled and filled ASAP so no time is wasted. No matter the problem our skilled technicians and top of the line equipment will keep your A/C unit running in tip-top shape! Our services are available to you 24 hours a day. The Florida heat can be brutal on your AC unit, preventative maintenance is the best way to save money in the long run and stay cool with no downtime. We offer a/c installation of residential and industrial units. All our technicians are licensed, accredited and insured for ac repairs and refrigeration systems. Call to schedule an estimate today. When it comes to your business we handle every scenario with the utmost care. 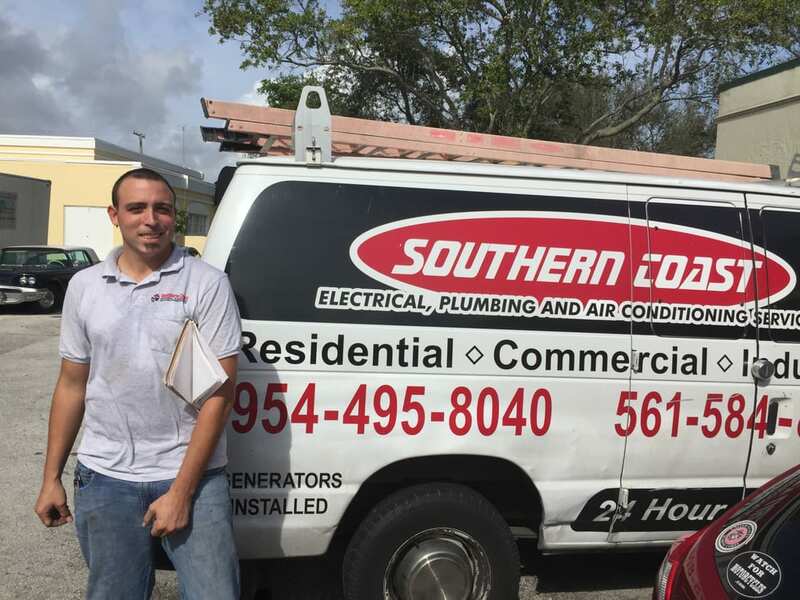 Your downtime is money so make sure the job gets done right with Southern Coast. Please call us or use our contact form to request free estimates for all of your constructions needs.